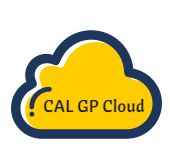 We want to make the “CAL GP Cloud” experience as SIMPLE for you as possible by answering your questions up front, in advance. Q: What is the price for CAL GP Cloud from CAL Business Solutions? A: You can see current pricing at www.calszone.com/gpcloud-price or email us at sales@calszone.com for a quote (*hosting services are only available to CAL customers. If you are not currently a CAL customer but are interested in becoming one, contact us to schedule a discovery call). Q: What is the difference between hosted and subscription options? A: HOSTED: You have the option to purchase the Dynamics GP software licenses upfront for a one-time cost. Then you can pay a monthly cost to have these licenses HOSTED in a data center. You own and our cloud partner hosts. This eliminates the cost and maintenance of hardware/servers and additional licensing. You can bring the software back on premise at any time if your needs change. Upfront costs are higher, but long term costs are lower. If you already use Dynamics GP, you can host the system you already own. You will no longer need to worry about server/hardware maintenance and security. SUBSCRIPTION: If you SUBSCRIBE to the software as a service, you do not own the licenses. You are in effect renting them for monthly use. This model appeals to companies who do not want the upfront capital expenses, and want to quickly and easily get their system up and running. For this option, we recommend PowerGP Online. NOTE: All answers below relate to the HOSTED offering of Microsoft Dynamics GP. Please contact us for subscription/PowerGP Online details. Q: What is included in the monthly hosting fee? Q: What is the difference between a named and concurrent user? A: While most of the products in the Dynamics ecosystem are sold on a Concurrent User basis for Perpetual Licensing, in the online model, Microsoft only offers Named User licensing. As a result, every named user of Dynamics GP requires their own monthly fee. That means generic user names such as “purchasing” that is used for 2-3 different people, would not be allowed. Q: How will Microsoft know if I have enough licenses? A: When you sign up for the CAL GP Cloud you will be asked to review and approve that you will comply with the Microsoft End User License Terms. Microsoft has the right to perform a “license audit” at any time. Q: Do I still pay annual Microsoft maintenance plan fees? A: Yes. If you own Dynamics GP and it is hosted, you continue to pay the annual maintenance fees based on your Dynamics GP system list price. However, if you have a subscription to Dynamics GP, the maintenance fee is already included in the monthly price. Q: Are all Dynamics GP user license types available in the cloud? A: Yes, Full users, Limited users or Self-Serve users are available. But remember that they are all NAMED users. Contact us to discuss pricing for Limited and Self-Serve users that you already own and want included in your hosted Dynamics GP system. Self-Serve users require using Dynamics GP Web Client access for an additional fee. Q: Is there a minimum number of required users? A: No, there are NO user minimums. If you host Dynamics GP, you only need to pay for named users who will be accessing the system, no matter how many concurrent users you purchased from Microsoft. (For example, if you purchased the Dynamics GP Starter Pack which includes the minimum 3 concurrent users, but you only need 2 users, you would only pay to host 2 named users in the “CAL GP Cloud”. There are also no user minimums for subscriptions. You can subscribe to only 1 or 2 Dynamics GP users. Q: Can I add/delete users easily? A: Yes, you can add additional named users to your hosted system by notifying us. To remove users, 90-days advanced written notice is required. Any changes to the number of users/changes to your services can take up to 5 business days to complete. Q: Do I need to purchase any additional software licenses to use Dynamics GP in the cloud? A: No, Microsoft SQL and Windows licenses are already included in the monthly fee. Q: Is there an additional cost to host ISV (add on) products? Q: Which ISV modules can be hosted? A: Most ISV modules you own are running on your Dynamics GP system can be moved “into the cloud” in your hosted system. CAL will notify you upon request if an ISV is not supported in the cloud environment. Q: Are Microsoft Office licenses included? A: Yes. Each named user includes Microsoft Office Professional Plus (Word, Excel, PowerPoint, Outlook, Publisher and OneNote) to use on your hosted system. This will allow you to use all the integration points between Microsoft Office and Dynamics GP, such as the ability to export SmartLists, use mail merge features and import/export to Word and Excel. Q: Do I need to buy Office 365? A: No. However, Dynamics GP in our Cloud and Office365 really are Better Together. For example, if you have Exchange through Office365, you can use Outlook on your Dynamics GP Desktop to send and receive email in your Office365 account and you can setup Dynamics GP to email invoices and purchase orders directly through Office365. If you have SharePoint or OneDrive as part of your Office365 subscription, you can save documents directly from your Dynamics GP Desktop to SharePoint/OneDrive and access those documents on your local device(s). If you are interested in purchasing a subscription to Office365, let us know and we can add them to your monthly subscription. Q: What if I already have a subscription to Office 365? A: GREAT! If you already have a subscription to Office365 you can hook up your Office365 benefits such as Exchange, SharePoint, OneDrive, etc (depending upon what is included in your subscription) directly to your Dynamics GP Desktop in our cloud. Q: Can I use Microsoft Dynamics CRM too? A: Yes, you can HOST Microsoft Dynamics CRM in the same data center, although we do not perform any Dynamics CRM services. Please contact us for pricing and more information. Q: What does the data center set up fee include? A: The data center set up fee is only for creating and provisioning the Cloud Environment and the technical installation at the data center. It does not include CAL services such as data conversion, integration and training. Q: What are the fees for CAL services? A: No matter where you decide to deploy your Dynamics GP system – on premise or in the CAL GP Cloud – you still need the same implementation services. This includes system setup, data conversion, integration and training. Read more about Implementation Costs. If you are already using Dynamics GP and want to move your system to the cloud, then our services would include a backup of your data and restoring it to the new location. The cost for this varies based on complexity. Q: How much disk space is provided? A: Each customer is allocated 10GB of Disk Space per ERP System. Backup and Archival Services are included. This disk space allocation is for SQL Database Files and files created by the Named Users and stored on the cloud hosting system. Disk space will be monitored, additional fees will apply should more space be needed/used. Q: Do all my files count toward my disk space? A: We do not count disk space utilized for Windows, Office, or any other program files or operating system files in the disk space allocation. To determine the amount of disk space needed we will look at a list of GP companies set up in your system and the amount of disk space SQL is using for each. Q: Is there a limit to the number of companies that can be run in Dynamics GP? A: Only disk space is monitored. You can have unlimited companies and databases set up in a hosted version of Dynamics GP. Q: Are Internet usage fees included? A: You must have your own Internet Service Provider to give you access to the Internet. Internet bandwidth for the usage of the CAL GP Cloud Services is included in the monthly subscription fee. However, if we determine, in our sole discretion, that users are putting an excessive load on our available bandwidth with large file downloads, streaming music, video services or other bandwidth intensive activities, we reserve the right to bill you for excessive internet usage. You will be notified of the excessive usage and provided with thirty (30) days to work with us to either reduce your internet usage to normal levels or to pay the additional fee. Q: Can I access from a MAC computer? Q: Can I access via a mobile device? A: Yes, iPad, Surface and Android Tablet access is included. Q: Can any Dynamics GP system be hosted? Q: Where is the data center? A: Yes. In fact, data and servers in a data center are much more secure than the physical servers at your office. We are happy to discuss security with you in more detail. Q: Do you include “Denial of Service Attack” protection”? A: Yes this is included via our Data Center. Q: How many GP clients are hosted in this data center? A: There are over 1,000 Dynamics GP cloud users hosted in this Data Center. Q: What backup services are provided? A: Standard Data Protection Services are included for all SQL Databases and User Files at no additional cost. Standard on premise backups are made daily and retained for 28 days. Off Site SQL Backups are made daily to the Azure Cloud. Additionally, our cloud partner archives backups once per week with a 4 week retention, once per month with a 12 month retention, and once per year with a 7 year retention. Our partner’s Data Center professionals will periodically perform test restores to test and validate the backups. A: We require a minimum term of 12 months. The agreement automatically renews for another 12 months unless otherwise noted 90-days prior to the expiration of the then-current term. Should the customer choose to cancel their agreement, CAL must receive 90-days written notice of the cancellation request. The Cancellation deposit that was collected at time of contract signing will be applied for those last 90-days. If additional hosting services were added after the initial Cancellation deposit was collected, the fees for those additional services will be due for the last 90-days. NOTE: The cloud fees listed on the customer contract are valid for the 12-month term only. Microsoft and other Publishers do from time to time change the cost of their subscriptions. If this happens, CAL can pass these Publisher initiated cost increases to a customer with 90 days’ notice of their term renewal, and Customer will have the option to either accept the cost increase or terminate the agreement. Q: If I cancel a subscription to Dynamics GP how will I get my data back? A: You will receive a backup of your SQL database and any accompanying files. We will put the files on an SFTP site, they’ll be .ZIP and SQL .BAK file format. Q: If I decide to bring my hosted system back on-premise to my own servers, what is involved? A: This is a relatively simple process. Moving the software in house is really just a server move. We would take the backup files from the hosted server and restore them on the new in-house server. The cost of doing this varies greatly depending on the number of databases and 3rd party programs involved, but it is reasonable. You are never “stuck” in the cloud if you decide to bring the system in house. Q: Can I pay for part of a month? A: As per Microsoft Policy, any portion of a month counts as a full month. Subscriptions are billed from the first day of the month through the last day of the month. There is no proration for a partial month. Any portion of a month is counted as an entire month. Q: What extra add ons are available for more robust systems? Q: Who maintains the servers? A: The installation of hotfixes and updates to Windows Server, SQL Server are included in the monthly fee. Our partner’s data center will provide Anti-Virus and Anti-Malware and perform and validate Backups of Servers and SQL Databases as documented in the SLA. Dynamics GP and ISV software version upgrades are not included in the monthly fee. Q: Who does the Dynamics GP upgrades? A: CAL Business Solutions will install Dynamics GP and ISV products and apply ERP hotfixes, service packs and upgrades for all Microsoft Dynamics and ISV software for an additional fee. These are done based upon your request. Cost of Dynamics GP upgrades. Q: Who do I call if I need tech support? A: CAL Business Solutions provides Tier 1 customer support. Contact support@calszone.com or 860-485-0910 x3. We will escalate this to the data center if it is decided to be a technical issue. CAL will provide training on accessing the cloud environment using the Windows RDP Client and/or Internet Explorer as appropriate based on the subscriptions in use. We will also ensure that you can print and transport files from the cloud to your local desktop. Q: Will I be notified of system maintenance? A: Yes, designated contacts will be notified via email of planned System Maintenance timeframes by CAL Business Solutions. Q: Will I have access to CustomerSource? A: Yes, all users will have access to CustomerSource for online training as part of the annual Enhancement/Maintenance Plan renewal. To learn more about hosting Microsoft Dynamics GP Online and the “CAL GP Cloud” offer contact sales@calszone.com or 860-485-0910 x4.